Howard Medical, leading manufacturer of high-quality medical carts, today announced a partnership with Imprivata to integrate Imprivata Medical Device Access, a streamlined secure authentication to medical devices for clinical users, with its E-series medical storage cart line. This integrated solution was demonstrated at the Cerner Health Conference on October 8-11 in Kansas City, MO. “By partnering with Howard Medical, we’re pleased to give our joint customers the ability to implement and enforce the security of sensitive workflows performed on medical storage carts, without affecting clinical workflows.” said Carina Edwards, Senior Vice President of Customer Experience at Imprivata. Enables care providers to spend less time with technology and more time with patients. By eliminating the need to repeatedly type usernames and passwords, Imprivata OneSign allows providers to quickly and securely access clinical and administrative applications, which streamlines clinical workflows and drives EMR adoption. 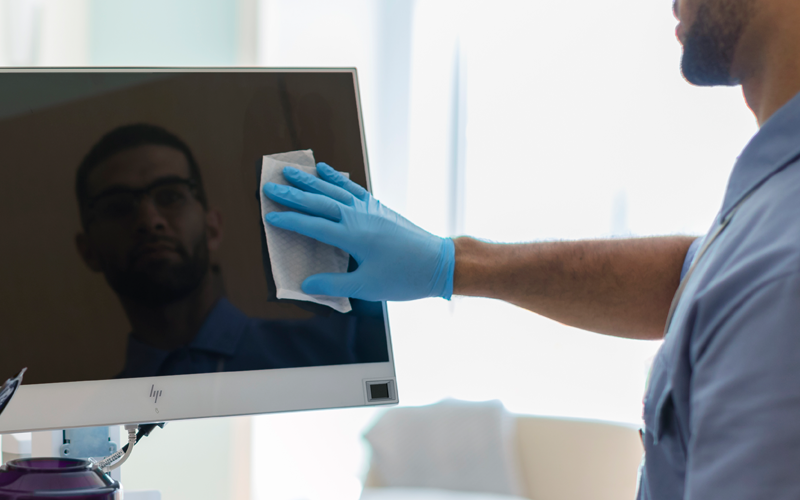 Optimize clinical workflows with the HP EliteOne 800 G4 23.8 Healthcare Edition All-in-One PC, engineered for easy sanitization and with optional integrated authentication and collaboration tools. 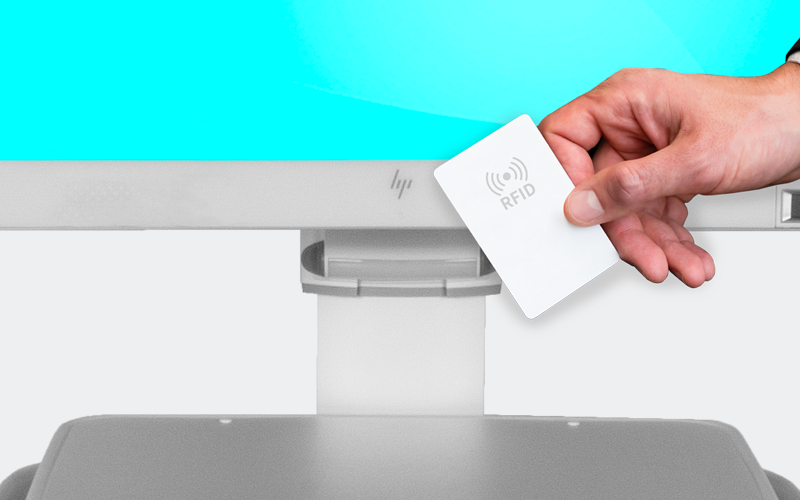 This unit is sanitizable with germicidal wipes and features a FIPS 201-compliant fingerprint reader. Howard Medical E-series carts are designed with the healthcare setting clearly in mind; with a range of features expressly integrated to ease workloads for nurses and other healthcare professionals, as well as to enhance patient care. They can be used in a variety of applications that include Charting and EMR, Medication Dispensing, and Nursing Education. The E-series carts are engineered to meet the exacting requirements of the healthcare industry, built tough enough to withstand daily use in the most demanding environments, and now have streamlined secured authentication on board to protect the security and integrity of the information stored within. As a leading manufacturer of quality medical carts that continue to secure market recognition, Howard Medical provides real-world healthcare solutions that are designed to ease workflows, boost efficiency, and enhance patient care. Along with revolutionary POC carts, Howard offer specialized hardware technologies that are vital to EMR, CPOE, PACS, and other health-related systems. Imprivata®, the healthcare IT security company, provides healthcare organizations globally with a security and identity platform that delivers ubiquitous access, positive identity management, and multifactor authentication. Imprivata enables healthcare securely by establishing trust between people, technology, and information to address critical compliance and security challenges while improving productivity and the patient experience.